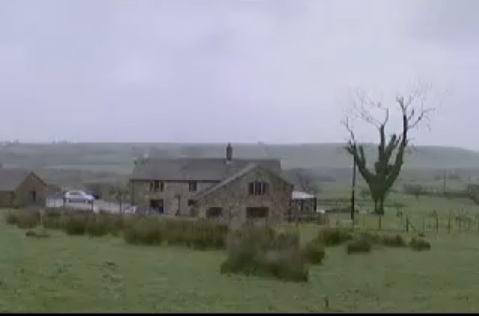 Is Lower Well Head Farm of Pendle Hill haunted? Lower Well Head Farm is located in a rather well known region of Lancashire known as Pendle Hill. The exact date the farm was originally constructed isn't known, but records date it to roughly 1600. The area is famous for the witch trails of 1612, when a host of witches were uncovered and blamed for a total of ten murders in the surrounding area. Of the 12 convicted for the crimes, 11 were tortured and then executed in the August of 1612. The farmhouse would have been a home to a number of these witches and if it is haunted, who by? Many different phenomena have been reported in the farmhouse, ranging from tall dark shapes that have been seen walking around the outside of the building and in the dining room to whispering noises and the feeling of being strangled. There is also an unknown mischievous spirit in the master bedroom who opens drawers and snatches the door out of people's hands. The spirit of a little girl, around 7 - 9 years of age has been identified by mediums as being Jennet Device who was a key witness in the murder trials that saw her Mother and Grandmother both put to death. Her ghost has been seen wearing a white nightgown whilst crying in the upstairs bedroom. Dragging noises are often heard along the walls of the upstairs corridor. Could these be made by Elizabeth Southerenes (more often known as Elizabeth Demdike)? Demdike is known to have died in her cell, aged 80 while the witch trials were ongoing and is also known to haunt the neighboring Tyndale Farm.